Our hospital with its over 60,000 annual animal-patient visits is a place of immense expertise and compassionate caring with the love of animals at its center. Our staff, students, house officers and faculty work in teams to solve complex problems affecting the animals that come to our hospital. While the work is fast-paced and technical, an ever-present feeling of compassionate care permeates our hallways, exam rooms, and wards. 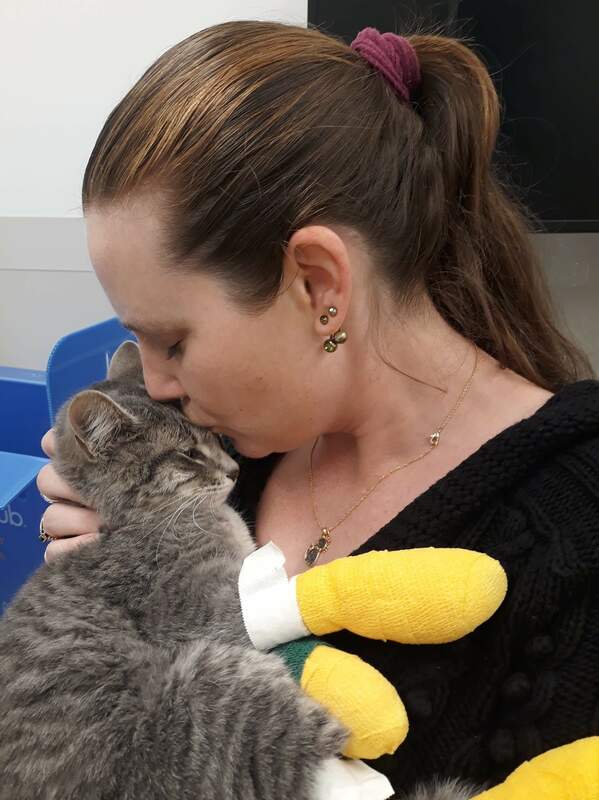 Laci Ping reunites with her cat, Mayson, who was injured during the Camp Fire. In this environment, stories arise that illustrate our people’s love of animals. Stories like “Mayson,” a feline survivor of the Camp Fire. Mayson’s pet parent Laci Ping successfully rescued all of her animals, except Mayson, during the chaos surrounding the fire. She tried desperately to gather him up during the evacuation, but he ran away. Her heartbreak turned to jubilation when she was reunited with Mayson, who had been brought to our hospital and was successfully treated by our talented teams. Mayson’s story is just one of so many that emerged from the Camp Fire tragedy. Later this month, we will honor the selfless and compassionate care of those faculty, students, and staff who heroically worked during the Camp Fire to save animals in and around Paradise, California, and in our hospital for weeks. Their hard work, which at times was both exhausting and overwhelming, powerfully demonstrate the spirit of love in our profession. 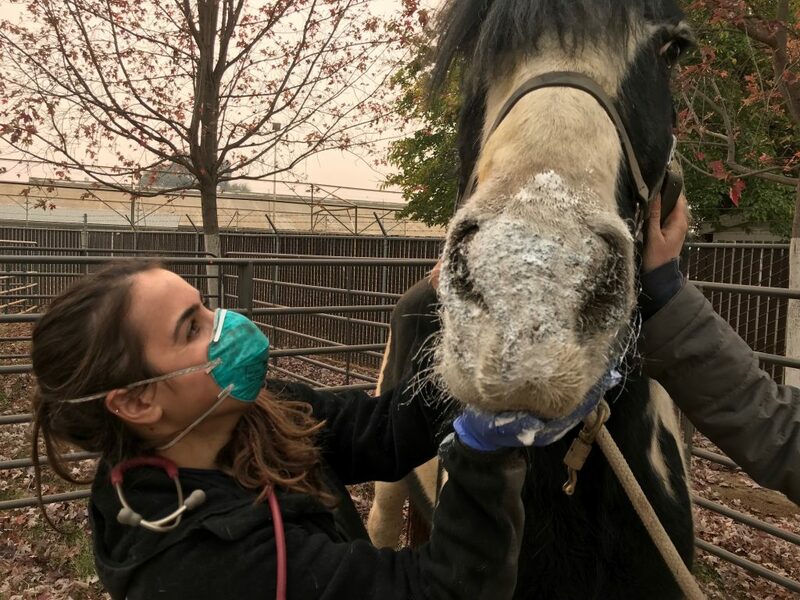 DVM student Ashley Nola was one of the volunteers with the Veterinary Emergency Response Team that helped treat horses and other animals in Butte Co. during the Camp Fire. 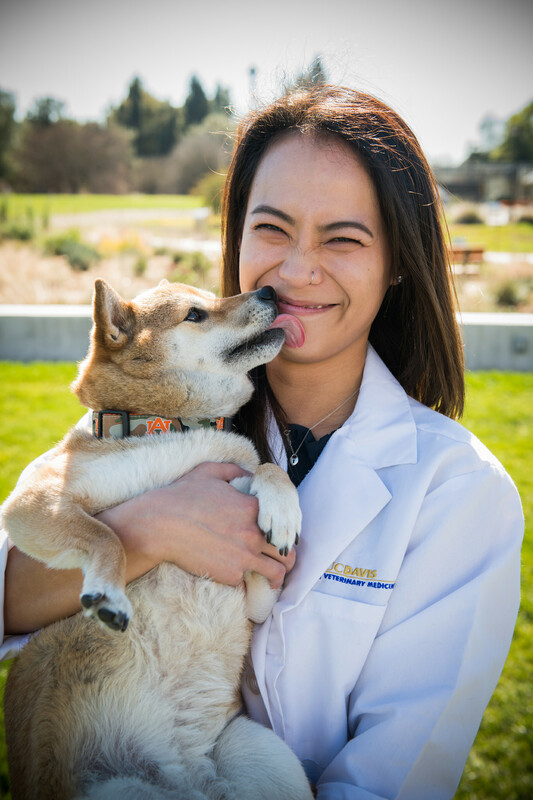 In the words of Hayley Dieckmann, student coordinator of our Veterinary Emergency Response Team: “Working at the Butte County large animal shelter opened my eyes to the power of community. Every person looked out for those working around them and the UC Davis team worked to remind each other of self-care in the face of adversity.” Read her full story for The Horse. Expressions of love and compassion come in many forms and we see that demonstrated here daily. During this month, we celebrate that love and recognize that it also helps us to understand our higher selves.